Nissan has teased an all new concept car which will make its debut at the 2015 Tokyo Motor Show. In a rather brief press release titled Together We Ride to Tokyo, Nissan simply states that this concept will represent "Nissan's future vision of car intelligence and electrification." Neither the name nor the codename of the car has been disclosed. 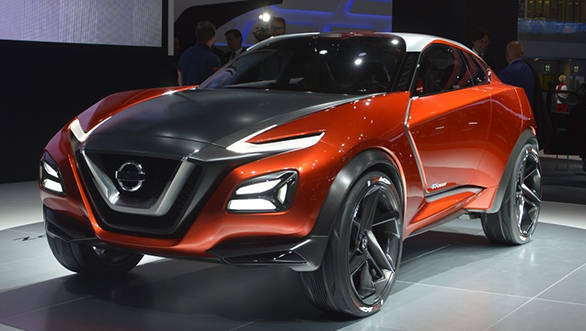 Some features like the V-shaped grille and all new headlamp suggest that its design has been borrowed from other Nissan concept cars seen in the past. The concept car is expected to be all-electric, just like the Gripz, 2020 Vision GT and Teatro for Dayz box car concepts which too will be showcased at the 2015 Tokyo Motor Show. The emphasis on "intelligence" in the press release has us hoping for the concept to be self-driven. With the Leaf Piloted Drive 1.0 concept project already afoot, Nissan's vision of putting autonomous vehicles on public roads by the end of this decade doesn't seem like such a distant reality. Nissan further goes on to state that its future cars will be equipped with digital tech to keep the machines relevant for the millenials who're just about to hit the legal driving age.